Emma Dschaak passed away on January 21, 2010, at the age of 88. Emma was born on April 6, 1921 in Dodge, North Dakota. The family moved to Hamilton, Montana, where she attended school. She married Jacob W. Dschaak and they made their home in Hamilton and started their family. The family moved to Spokane in 1943, settling in the Mead area. Emma raised chickens and sold eggs to help the family income. There was always a large garden with plenty of canning to do. Throughout her life she enjoyed sewing as a way to relax. Her children and their families were always the focus of her life. Emma is survived by one son, Edward (Gerry) Dschaak of Spokane, WA; seven daughters; Evelyn Kitchen of Seattle, WA, Lilly Buringa of Spokane, WA, Kathie Clark of Spokane Valley, WA, Christine (Mark) Deveaux of Spokane, WA, Sandra (William) Frey of Spokane, WA, Linda (Charles) Hinds of Spokane, WA, and JoAnn (Dave) Mackey of Spokane Valley, WA; sister Hilda (Irwin) Garberg or Spokane, WA. There are numerous grandchildren, great grandchildren, nieces, and nephews. She was preceded in death by her husband, Jacob; daughters Clair Simpson, Patricia Davis, Caroline Dschaak, and son, Terry Dschaak. Source: Obituary as posted on Dignity Memorial website. Tim D. Dschaak, 36, Wibaux, Mont., died Jan. 19, 2008, at Glendive Medical Center, Glendive, Mont. Services will be held at 2 p.m. Thursday, Jan. 24, at Trinity Lutheran Church, Wibaux. Interment will follow in Wibaux Cemetery. Emma Dschaak, (93) died September 16, 2006. 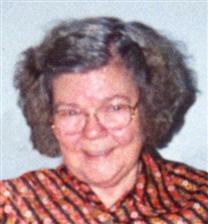 She is survived by three sons and fifteen daughters including Marion Weidner, former employee of V-P production at UCI. My great-great-great grandfather, Peter David Dschaak was born 1834 in Prussia. His family immigrated to “The Crimea” (now known as Ukraine), where he eventually married Elizabeth Fietz and had seven children, of which the third was Jacob who was born in 1867. Jacob was my great-great Grandfather, married Louisa Ost, who became the the parents of my grandfather, August Dschaak born 1896 in Odessa, The Crimea, Russia. His family immigrated to the USA in 1902. They left Eupatoria, Crimea, Russia on the ship “Armenia”, landed in Nova Scotia, Canada on November 19, 1902. From there they traveled overland to North Dakota to settle and homestead a stake of land there. August met and married Hulda Janke, had 8 children, the oldest of which was Raymond Dschaak, my father, born 1920 in Golden Valley, North Dakota. His family eventually migrated to Montana, where they pioneered sugar beet farming in the Bitteroot Valley. My father met my mother Alberta Rice in Ravalli, Montana, they married and I was born 1942 in Hamilton, Montana (the Bitteroot Valley). My parents moved to Spokane, Washington, when I was 5 years old. I met my wife Pam (Eakins), in Seattle, Washington, we married in 1963, our children, Jeffrey, Martin, and Cara, born 1964, 1966, & 1968, respectively. Jeffrey married Tamra Stauffer and had 3 children, Timothy, Bryan, and Alyssa, born 1987, 1989, and 1994. Martin married Tanya Burke and had 2 children, Alexandra and Taylor, born 1992 and 1994. Cara has born 2 children, Dillon and Jordan, born 1998 and 2003. Interesting to note here that Peter David’s brother’s name was Martin ! My name is Harry Dschaak, and for the next few days I’m the running mate of Sterling D. Allan, representing the Providential Party in the 2004 Presidential election. (See allan2004.com) I have just recieved the attached message and inquiry as to my plan to improve the United States of America, and have been prompted to name three main issues of major importance to me, etc. Believe it or not, this is a rare occasion for me. In consideration and contemplation of any of the changes in US policy or image overhaul I would like to help initiate, I’ve personally never taken the time to choose or prioritize any particular issue over the next. That might seem odd, (considering the nature of politicians and their campaigns), but that should be your first clue as to how radically different I am than the front runners. It is apparent to me that there are responsible men and women of voting age in America that have not lost hope for the future of America, (and the world), but have abandoned or distanced themselves from present day government and politics. These valiant souls are more common than I first thought, and for now at least, they are still free. They understand freedom, and democracy. They recognize that both are being redefined at every turn. They gave up voting, because it doesn’t take a mathematical genious to realize their vote would be a wasted registered vote. That aside, they are coming to recognize tyranny, and anarchy, and apathy, NOT from actions of those hard to identify middle eastern countries only, but here, in the homeland. First: During the first 8 to 12 months in office, (call it a discovery period), as the Vice President, I would like to hear from every American adult, in writing, just what’s on their mind. I would enlist the help of volunteers in every community in every State to sort, read, and file, each signed letter in a national database. I would make the information public. I would not rely on the polls, the rumors, the House of Representatives, or the opinions of anyone anywhere, as to what the mind and will of the American people might be. I am an advocate for Insight and Awareness wherever it can be found. I believe those two things are essential in making good choices… (especially if the choice is a multiple choice). FWIW, I would not hesitate to choose leaders from among the civilian ranks, if something Joe Public wrote in his letter impressed me. Second: In the interest of healing America, and going forward as One Nation under God, I would spend some time cleaning house. Agenda driven, me-firsters would be systematically replaced by the meek, (not the weak meek mind you), as soon as they were discovered. For four years at least, there would be no secrets. No shadow government would reign here. All Oaths of secrecy involving the civilian population would be declared absolved, and immunity of some kind would be offered to anyone troubled by their predicament. Some really bad guys might avoid justice for a while, but the bit about plausable deniability is just not acceptable. If we’re a team, then we’d better make sure we’re all on the same team. For the first time in American history, this country’s left hand just might be shocked to discover what the right hand has been up to all these years. A Nation proud will have nothing to hide, and should not have any problem coming clean. Campaign slogan: “Honesty is the best policy”. Third: Get back on track. I’m not sure just how long ago American leaders headed us down the primrose path, but it definitely has a dead end. The use of fossil fuels, and even cleaner energy such as electricity and nuclear power can’t compare to free energy. I would support any and all efforts to pass legislation to provide tax breaks or other incentives to anyone wishing to study, research, or develop devices that will in any way curb our waste and reduce our dependency on oil. We have yet to learn to compliment Mother Earth, and not abuse her. For the record, in the last election I deviated from my usual third party candidate wasted vote and voted for Bush, in the Republican dominated State of Idaho, which means I am as much to blame for the mess we’re in as anybody. I feel really bad about that. Just so you’ll know, I have enjoyed this opportunity to say a few things about a few things. I guess I have an opinion on just about everything, including this election. I do not want anyone to think that I think it is an inspired or fair process, or even a democratic process. It is ridiculous to the bone. Just one of the many things that needs overhauled.